If you knew me, you would know I’m not the one for sports, never was (my own mother calls me jandal, since I’m useless for sports) Countless times I set myself to go to the gym, star a new activity, MOVE, and countless times I failed at it. Last Sunday was meant to be different, was the day I was to run my first 5k…but then again, I failed. The story actually began when I got home early from work one day, really tired, and in a really bad mood. Le boyfriend was home too, playing video games with some of his mates from Argentina. To make it short, when he plays he gets really into it, and most of the times he shouts and since he was wearing his noise cancelling headphones, he shouted louder and couldn’t hear me asking him to lower his voice . So, instead of ripping the keyboard against his head, I put on my gym clothes, stepped into the treadmill put some music on and ran to blow some steam, and ran and ran and ran, until I realized there had been and hour since I started. 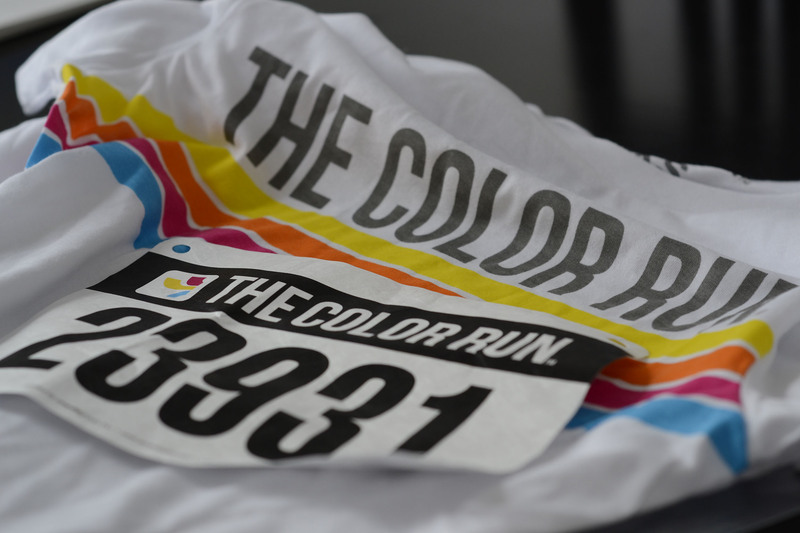 I heard about the “Color race” a few days after, 5k, no time limit, no age restriction, for runners, walkers, even dancer, each km with a color station, were volunteers throw colored cornstarch at you. It felt fun and it looked like you didn’t have to commit to it that much, and two days before I done 5ks, so I signed in. You what?! – Yes, I signed in and trained for it. I actually trained 2 to 3 times a week and last Thursday I timed myself and realized that I actually lowered my initial timing by 10 minutes. Yay me! But then…the universe happens. Turns out, yesterday (Monday) was Auckland Anniversary… happy b-day AKL btw, and the people from Auckland transport decided it was a good idea to cancel all trains, and the buses that “replaced” those trains didn’t get to where the race was held, to pretty much I had a 2.30hs drive by bus to get there and the same back, it was all complicated and in the end I ended up not going…. see why I fail at life? I had planned for this post to be completely different, with fun photos of painted people, with success stories, with tips and facts of the run, so here are some images of what it could have been. Here is the start line…. 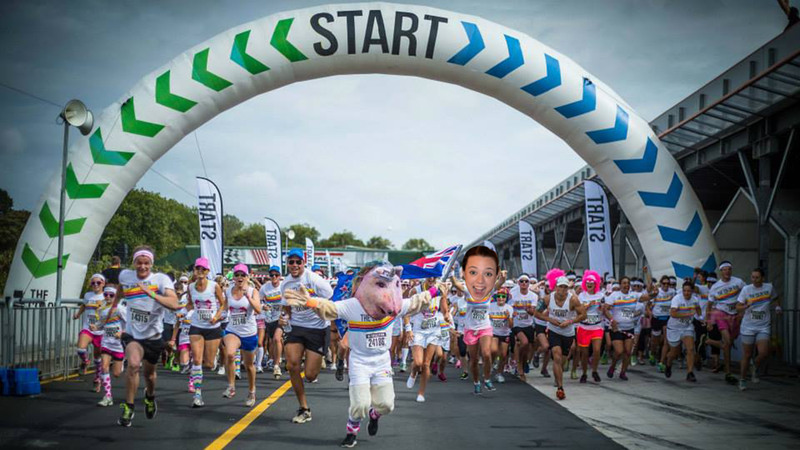 (see if you can find me) that unicorn/pig men was SUPER FUN!